This guest post was written by Michael J. Palumbo. 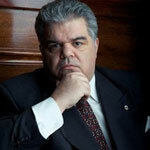 I am so happy Attorney Palumbo reached out to us because he is going to cover a subject nobody wants to discuss – Sales. Yes. That nasty little word no lawyer wants to acknowledge but is critical to the success of your practice. This article is long, hard-hitting and informative. You can read Attorney Palumbo’s bio at the end of the post. So, you’ve finally “arrived.” You went to law school, passed the bar, got a job toiling away as a glorified apprentice for someone else for a number of years (or maybe not), and finally took the plunge and “hung your own shingle.” Your goal of course is to build a client base that makes the phone ring with qualified, prospective leads. At this point though maybe the bulk of your income is derived from per diem and court assigned work. You could be sharing a suite or even just working from home off of your dining room table. Maybe though you are beyond the incipient stage of your solo or small practice. Perhaps built a web site and spent some money on advertising. Or you network a lot and get direct business through word of mouth. Whatever your situation, your hustling is, or will, cause your phone to ring with prospective clients. But a funny thing happens on the way from “hello” to you receiving a signed retainer and payment. The prospective client drops off the face of the planet. You don’t understand, because you gave them a detailed consultation on the phone, set up an in person consultation, spoke to them for an hour – no, more than an hour, had great rapport, and then nothing. And you cannot understand why. The reason is both simple and shameful. It’s not their fault that they did not retain your office, it’s your fault. And it’s your fault for the simple reason that instead of selling them on your service, you were telling them about your service. It’s shameful because you, as a lawyer, have the highest degree of professional sales training and experience that any profession gets. As a lawyer you are trained to advocate, sell and persuade. That’s what we do as lawyers. So you need to employ those same sales skills you were trained on for yourself. In order to execute on sales skills the first paragon shift you need to make in your mindset is that the minute you realize that the caller is a prospective client that your marketing efforts have (successfully) ceased and the sales process has begun. For you to sell your service you need to realize that you are not there to give friendly advice but you are there to close the deal. That is your job. And there is nothing tawdry or un-lawyerly about that. Hell, we even call trial summation a “closing argument,” i.e., you are there to sell, or “close” the jury on your sales pitch. If it’s good enough to do in open court, it’s good enough to do when a prospective lead calls you. You have to look at it like this. You are a skilled attorney. They are calling you for something you can do – for a value you can give them. It is your job as an advocate for yourself as well as for them to persuade them to glean the benefits of your knowledge and the services you can provide them. Of course we as lawyers are not selling bagels, so there will come instances for one reason or another that you cannot undertake a case. So you create good will by referring them to someone who can. What I am expressing is that when someone calls you for services that are in your wheelhouse it is your job to sell them on the value you can provide them because it is good for them. They will benefit from it. In the initial phone call we ascertain their concerns about the ticket, qualify the lead (i.e., make sure they have the means to purchase the service), explain the value of our service to them based on their concerns, and then e-mail them the papers, instructions on how to retain and pay us, and links to more info that they can glean online about our firm and services. Within 24 hours a follow up phone call is placed. This is critical to phone sales. If support staff personnel made the initial consultation call the follow up is ALWAYS made by a lawyer. If a lawyer made the initial consultation then it is made by another lawyer. It does not matter if me as the owner of the business made the initial pitch and my junior rookie associate follows up, or vice versa. What matters is that a second call is made and depending on who is making it it’s just a different pitch. For example, when an associate makes the initial consult and I follow up, I open by saying “I see here that you spoke to Sandy about your speeding ticket and that she explained to you what we can do. I just wanted to say ‘thank you’ as the business owner for calling us, and see if you had other questions.” When an associate follows my initial pitch, they say “I see you spoke to Mr. Palumbo and he sent you our papers. I am Sandy one of the associates and will be working on your case. I just wanted to follow up and see if you had any remaining questions or may have left something out that you think is important.” Of course, if you are as solo as you can possibly be, then you need to make a follow up phone call. The purpose of this call is to ascertain that they received your information, ask if they have any follow up questions, and just to generally express a true interest in representing them. For most lawyers and legal services there are really two distinct closes: (1) a phone close to get an in person consultation that they actually appear for, and then (2) get them to sign your retainer at the in person consultation. The balance of this article will be regarding just the phone close to get the appointment, and my next article will be about the in person close. On the initial call you are not there to hear the prospects stream of consciousness. You are there to direct the conversation. That direction starts with the way you answer your phone. Ditch the “Law Office” or “your name” to “Law Office of Bob Jones, are you a new or existing client.” This forces them to tell you that they are calling on a new matter. It also sets the tone subconsciously to them that you have clients and sell a professional service which they will have to purchase. Yes, that’s right 10 minutes and not a second more. 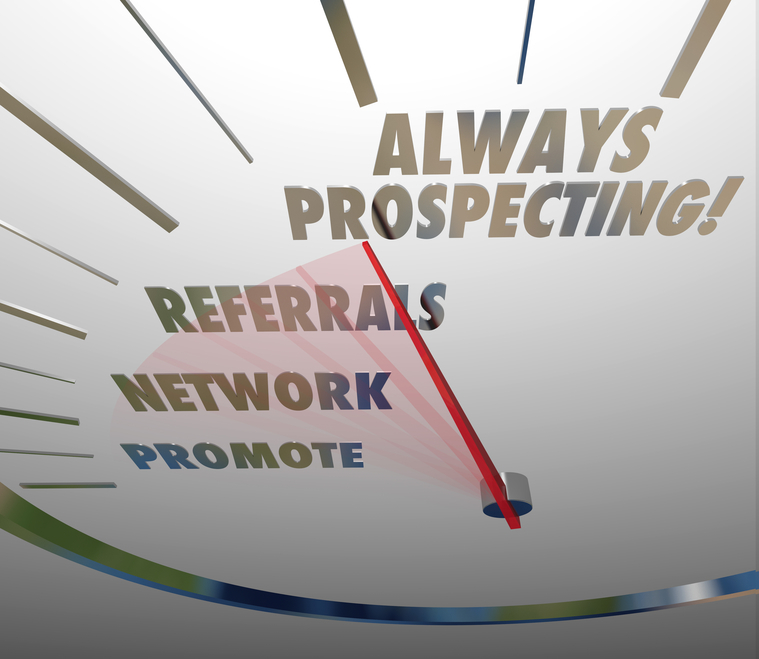 That is more than enough time to build rapport, qualify the prospect and, if qualified, set an appointment. Regarding client qualification, the phone close is in fact more like a screening / closing than a straight up close. When I say “qualify” the lead that means that they have the means and ability to pay, and that they are also the decision maker. If you do not have someone on the phone that has the means and authority to pull the trigger you are wasting your time. Q: Mr. Smith, let me stop you right here because we only have 10 minutes. What I think I heard is that you are concerned about losing your kids, your business, and your home over this divorce, plus there seems to be a lot of stress and discord. Q: Mr. Smith, I understand your concerns and those are the exact issues we address here. We will work to make sure you do not lose everything and have joint custody of your kids. As for the stress and fighting, you will see that as we iron the issues out you will begin to feel better. What is happening now is typical in a divorce case and he sooner you retain counsel the faster we can move the case forward, And yes, things for other people go bad but what concerns you is the exact thing that we address, try to avoid, and fight for you at this law firm. What I just explained may not sound like much, and you may even believe this is what you do. But likely, you don’t because if you did the appointments you make would actually show up. This is a subtle sales technique in which you refrain from telling them what you can do for them, but have them TELL YOU what they want, and then all you are doing is affirming to them that you can provide the services are seeking. This technique has been proven again and again and it works because subconsciously it is much more believable when someone who is trying to sell you something is not pitching you the benefits, but consulting you on your wants, needs, concerns and desires, and then fits a good or service specifically tailored to suit the client’s needs. In addition, we as lawyers because we know the law tend to presuppose that we know what the client wants. We know within a few sentences what the client has to lose, yet the client either (1) does not know, or (2) maybe he does know but does not care about that. And when they don’t, so long as you consult them on what their real concerns should be and they reject it but want to retain you because of a collateral concern hey, who are you to argue? I get this all the time in the traffic ticket practice area. I will ask what the charges are and say “okay, what is your main concern with the ticket?” Often I get “well that cop, bla, bla, bla…” Now, suppose as sometimes happens the ticket is very minor, a small fine, and does not trigger an insurance increase. I will say “I know you are frustrated with the cop but I have to tell you other than the fine there is nothing to fight and since my fee is more than the fine and you time is likely more valuable than going to court yourself I recommend just paying it.” Most people are appreciative of my honesty, which we should all be anyhow as lawyers, but some people say “look, I don’t care. I’m not letting that SOB get away with this send me the retainer.” So at that point, who am I to say no? However, if I did not ask them what their main concern was and just launched dismissively into “just pay it” once I heard what the charges were and knew economically that there was no upside to retaining us, I would have lost 2 opportunities: (1) to have them retain us on their issue, and (2) to build rapport and good will in listing to their real complaint, explaining to them why I could not add value, and giving them an analysis as to why and their best course of action. Q: Mr. Smith, you just told me that you declared bankruptcy, your home is upside down, the business is not generating a lot of income, and there is marital consumer debit of over $30,000.00 For a divorce lawyer to address the concerns you have made you will have to make a substantial investment. Whom is going to be paying for your legal services? If he doesn’t have a clear answer for this stop. Just stop. Because you are wasting your time. Your time would be more productive at this point of you went and vacuumed out your car. Simply say: “Mr. Smith, when you know whom is going to pay for the services have them call me and I can explain to them what our office can do for you.” This is what you have to do because it is that person whom is the real decision maker, not Mr. Smith. You see, saying “I have to talk to someone” or other delay tactics people use is not a “no” but an expression of an unarticulated or unexplained concern. It is merely what is called in sales an “objection.” The “I have to talk it over with someone” objection is very powerful for the consumer, because there is no way to figure out the veracity of the objection unless you have previously established that they are the sole decision maker. However, when you have and they make that objection the power swings in your favor, because now you can ask them in a polite, non-embarrassing way what is really on their mind. And unless you find out what their concern is you cannot clear that objection. The goal of the phone consultation is to close on getting an in person consultation. Assuming you have a qualified client who has the ability and means to pay, your next step is to close on making the appointment. Q: Mr. Smith, you told me that you have been served papers and also you have a business. The next step so that we can help you is to take advantage of our free 30 minute office consultation. This way I can review the legal papers you received, explain to you in plain English what it means and the deadlines for making your filings you are under, and I would like to get a better sense of your financial situation. We can make an appointment for next week but in order to get the best value out of your free consultation I would like to review the legal documents and your last year’s tax returns in advance. Let me give you my fax number to send them over, or would scanning and e-mailing be easier for you? What you are really doing here is giving the prospective client homework and in effect making him do something in advance of committing to coming into your office. This is a huge step to ensuring that the prospective client begins to respect you as a professional as well as will create a quantum of excitement in the prospects mind about meeting you, because he now knows that whether or not he retains you, you are going to have worthwhile information for him when he meets with you. I do not care what practice area you are in always have them send you something to review in advance of the initial consultation. I don’t care what it is or whether you really have to see it. Just by making the prospect go out of his way will make him value your service, and if he can’t even do so much as find a candy store fax machine he’s never going to retain you anyhow. Having them send documents in advance of an initial consultation not only guarantees that they will show, but sets boundaries for when they retain you. You are their lawyer but it is their case, of which they will have responsibilities throughout the process. So have them agree to send you documents and agree to do it by a certain date, and then set an office meeting a couple of days later: “okay, so you will have those documents to me by tomorrow, so then we could meet, let me see I have a hearing the following day and have to be in Albany the day after that, how about next Thursday…” Also, it is at this time you should weave in payment methods your office accepts: “oh, just so you know, you do not have to pay us with a certified check. We accept personal checks, as well as all major credit cards and PayPal.” Remember, you need to condition them at all points in the process that you are not “legal aid” or here to give “free advice.” A free consultation is telling someone what you can do for them once they hire you; giving free advice is giving your inventory away without compensation, and is no different than a grocer letting someone walk out of his store with a gallon of milk because he is thirsty but has no money. When you receive the documents acknowledge to them that you did and confirm the date and time of the in person meeting, and if they fail to send the documents cancel the consultation until they do. I would not cancel if I did not have them by the tentatively agreed date, but if you don’t have them a day before the in person meeting call them to re-schedule or cancel. If you left a message and they appear with papers in hand tell them that they did not sent the papers in, that you called / e-mailed, etc., and cancelled, and that you are too busy at that moment to look everything over and meet with them, but if they would like they could leave the papers and you will call them for an interview after you reviewed them. And they have to leave the originals, you are not running around making copies. If they don’t want to then again give them your fax and e-mail and tell them to send them in and you will contact them after the fact for a meeting. This may sound cold, but if it comes to this they do not respect you or your time as a professional, and you cannot convert a prospect into a client unless they respect you and your time as a professional. This entry was posted in Guest Bloggers, Marketing, Savvy Solos, Solo & Small Firm Practice and tagged Leads, Legal Marketing, Michael Palumbo, Sales. Bookmark the permalink. ← The Most Trusted Website For Attorney Reviews – Yelp! Great article Michael. I regularly talk with attorneys who don’t understand that there is a “sales” component to their practice and that their business is suffering due to that lack of understanding. I would add that it’s not enough for the assistant answering the phone to be “pleasant.” I say this because many lawyers feel their receptionist does a good job by being pleasant. “Pleasant” is simply another way of saying “not rude.” Well if the standard is simply not being rude then that is a bar which is so low it might as well be buried in the sand. Attorneys need to stop worrying about whether their assistant is “pleasant” and they need to make sure their assistant can sell.